Dubai International Financial Centre (DIFC), the financial hub for the Middle East, reported yesterday a 25% increase in net profits YoY, to $99m in 2017. The results for the year ending 31 December reveal a rise from $79m in net profits in 2016. Over the same period, the total number of registered companies in DIFC rose 12% to 1,853. DIFC is working towards achieving a 2024 growth strategy, which aims to increase the number of active financial firms to 1,000 and the combined workforce of DIFC-registered companies to 50,000. DIFC’s financial services sector grew to 473 firms, and the Centre’s workforce increased to 22,338 professionals. During the same period, an additional 384,200 square feet of space was leased, with DIFC properties maintaining a 99% occupancy rate. In 2017, DIFC’s combined revenue was $221m at a similar level to 2016. DIFC’s total assets grew to $3.55 bn, a rise of 15% compared to 2016 ($3.08bn). 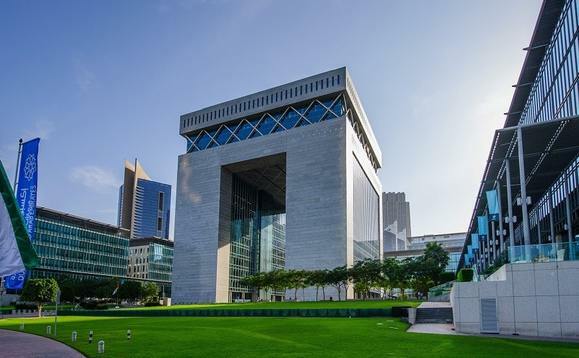 During the same period, DIFC’s operating profit grew by 8% to $140m. The total number of 315 new registrations in 2017 was a new record for DIFC, representing an average of 26 new registrations per month. The geographic representation in DIFC remained broadly similar year-on-year, with 36% originating from the Middle East, 33% from Europe, 11% from Asia, 10% from the United States, and 10% from other countries.